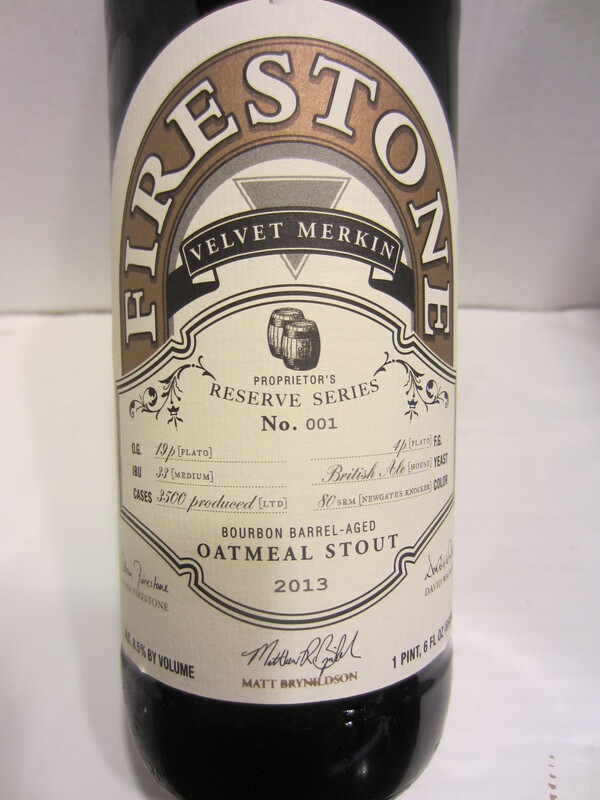 A friend of mine picked up three bottles for me on release day at Firestone’s Barrelworks in Buellton, California. Thanks again, Robert! 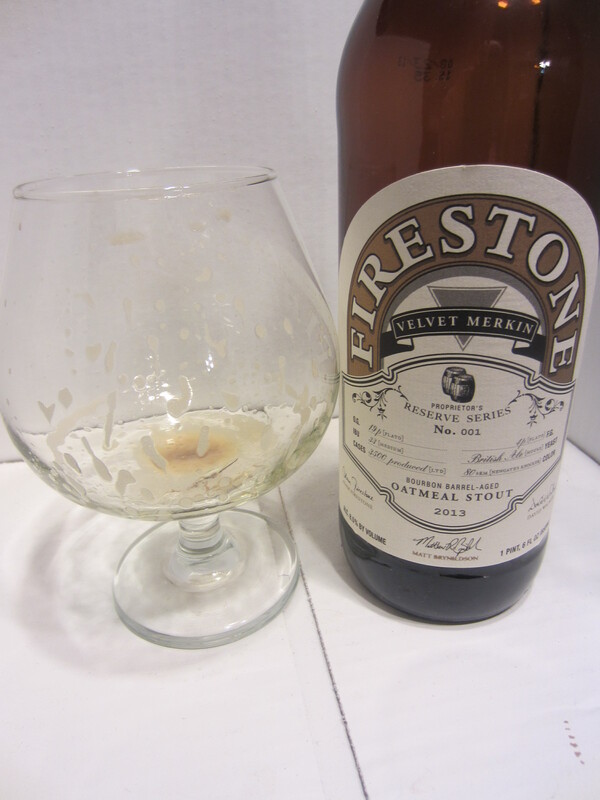 Poured from a 22 oz bomber into a snifter. The body is solid black in color. 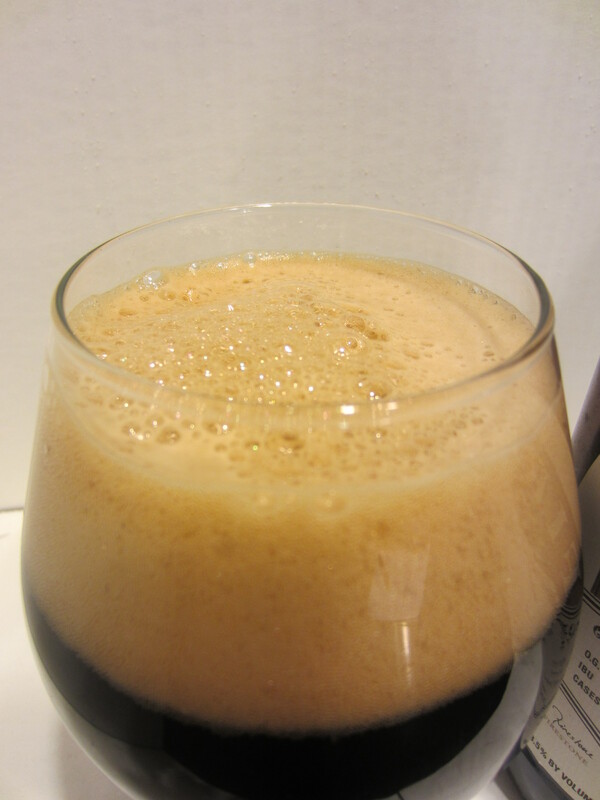 A light brown, bubbly head is poured, which dissipates to a thin semi-covering quickly. Light lacing is left throughout. 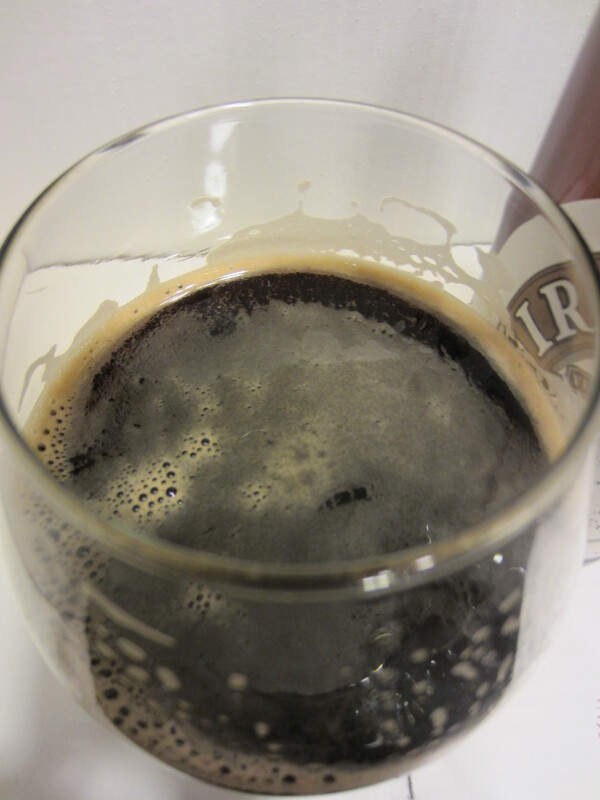 Faint carbonation is visible. Warm bourbon/oak barrel and vanilla notes are the main aromas, with undertones of chocolate, coffee, roasted caramel malts, and a bit of alcohol. 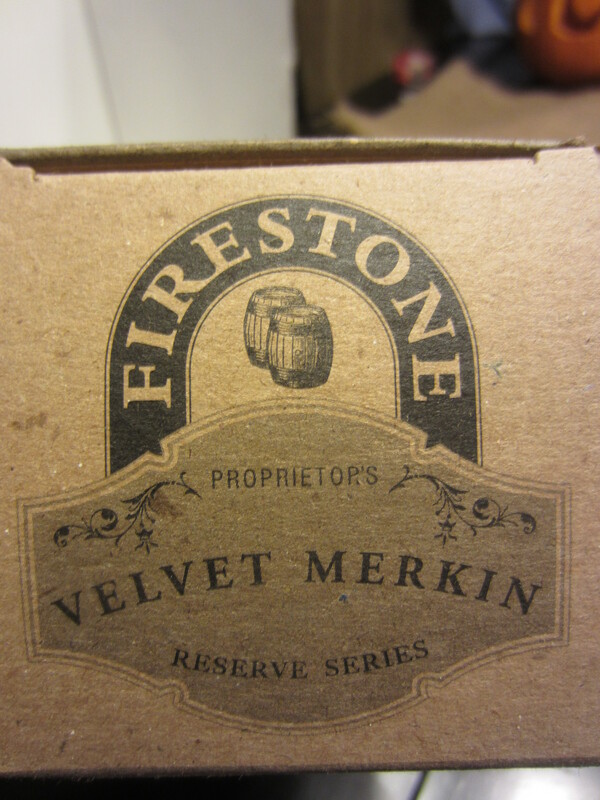 Velvet Merkin has a medium-rich body, and offers a surprisingly smooth and luscious mouthfeel for a bourbon barrel stout of 8.5%. Just a small bit of carbonation is noticeable. 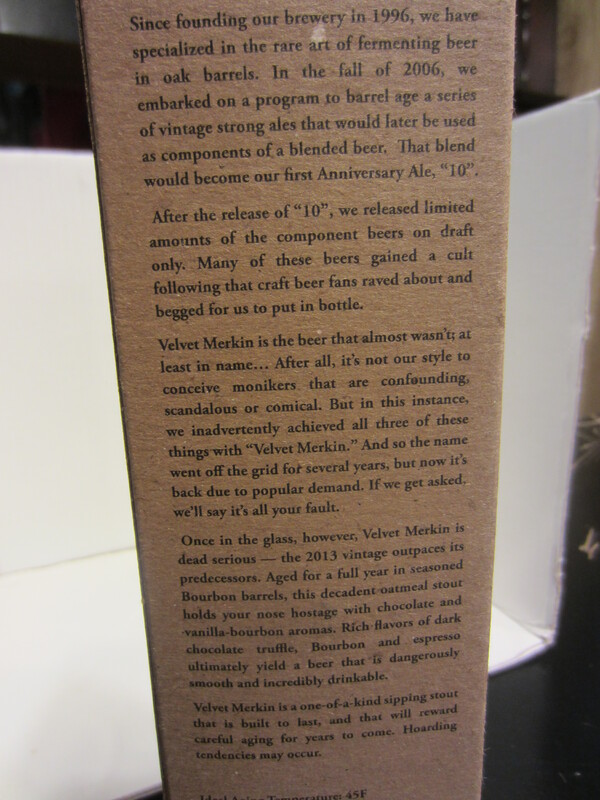 Vanilla and bourbon flavors are presented initially, followed by velvety (heh) milk chocolate creaminess as it goes down. After swallowing, bourbon heat tingles the tongue. The lingering aftertaste combination is of chocolate, roasted coffee, bourbon, and very faint brown sugar sweetness notes that blend masterfully. 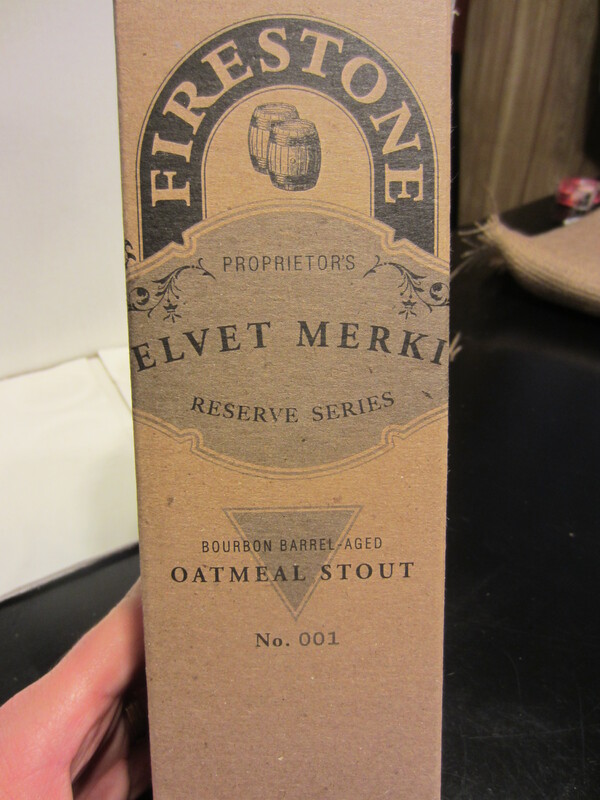 Well, I picked a damn good beer to do for my 100th review. 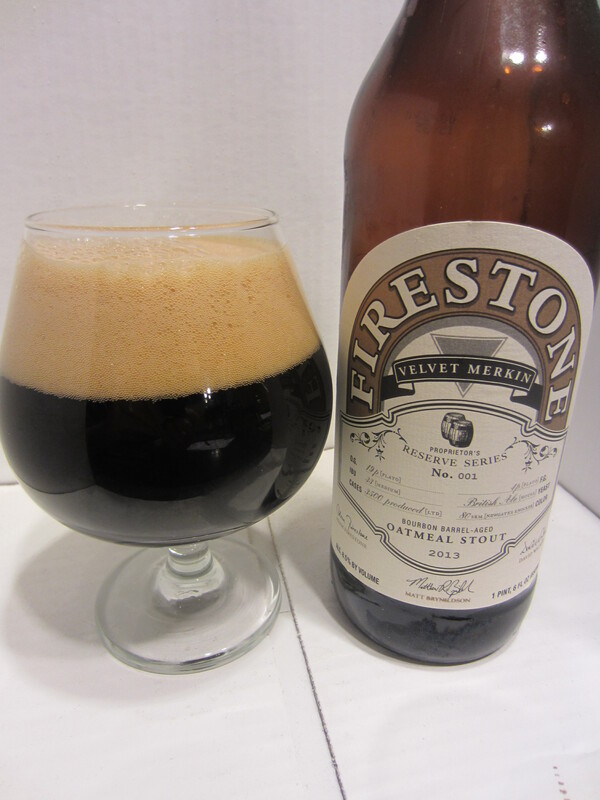 I’ve been doing beer reviews for about 8 months, and I’ll be hard pressed to keep up this pace. I’ll probably be more at the pace I’ve been on this last month or so, instead of the frenetic pace I was on when I started. We’ll see how it goes.